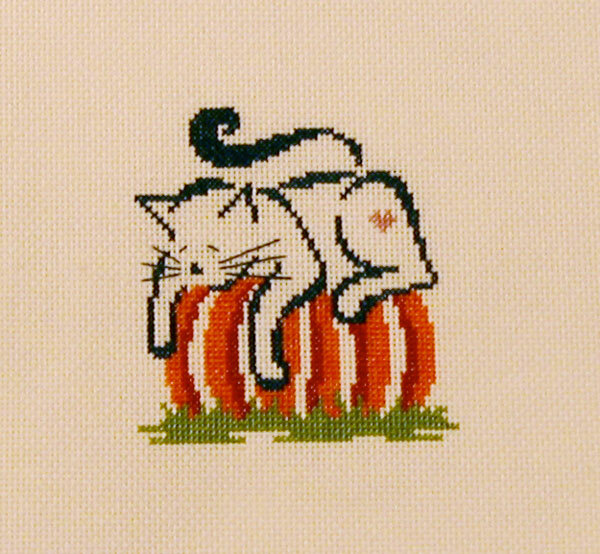 I stitched it on a scrap of 22-ct fabric, over one, with DMC floss. I hope JCS keeps doing a Halloween ornaments issue since I've really be enjoying these designs! 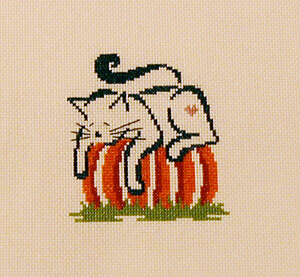 I was wondering if there was a way to get this pattern because Just Cross Stitch is sold out of this issue? Thanks. I'm guessing that means they've sold out of the back issues. You might try checking eBay or etsy? Thank you. Will have to look.